Noshville can prepare, set up and serve anything from a light continental style breakfast to a Prime Rib Carving Station. Our staff is devoted to accommodating your needs to make every event memorable from dawn to dusk, and beyond! Whether it‘s breakfast quiches, boxed lunches, deli platters, or a full sit-down dinner, we can customize your menu and setting. Please remember; if you don‘t see exactly what you‘re looking for, just ask, what you think might be impossible may only take us about an hour. Our off-premise catering allows you to host an event wherever you would like. Here at Noshville Delicatessen you will meet one on one with our managers to customize your personalized menu and discuss any other detail or desire you have. It allows you to have everything you need for the perfect event, wherever you host it. We can deliver our signature menu items to corporate business breakfasts, board lunches, picnics, family reunions, sporting events and other special occasions–indoors or outdoors–for several hundred people at a time. Noshville also handles Super Bowl parties, Turkeys to Go for Thanksgiving, Holiday Party drop-offs and doctor‘s meals to-go for Pharmaceutical reps to bring clients. Most orders only need a 24 hour notice and can be delivered to any office, home or venue. Noshville Delicatessen can be reserved for private parties and events. Anything from wedding rehearsal dinners and receptions to bar and bat mitzvahs, we do it all! Along with our delicious food, it is our strong commitment to provide our clients with courteous service and dedication. Whether it is a bridal shower, formal dinner or company party, Noshville Delicatessen can make your next private event a memorable one. Thanksgiving, Christmas, Hanukkah, the New Year. Believe it or not, the holidays are just around the corner, and now is the time to start planning. It‘s a time of hustle and bustle as people are making preparations for entertaining family and friends, attending holiday social events and shopping for gifts. Let Noshville Delicatessen do all of that for you! Noshville offers fully cooked traditional holiday meals, desserts and so much more. Our establishments are also available to host holiday parties on site. So don‘t wait, call us now and see what we can do for you this holiday season! NOSH YOUR WAY THROUGH THE HOLIDAYS! 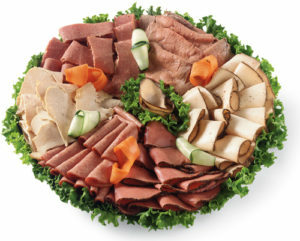 Noshville Delicatessen is pleased to offer a variety of traditional favorites to you this holiday season! Please try and give us 48 hours notice for all holiday orders! Your holiday needs have never been so easy and delicious! With the excited time of your young adults‘ Bar/Bat mitzvah approaching we know how chaotic schedules can be. This is why we would like to extend a friendly invitation to assist you in the preparation of this major event in your family‘s life. We understand more than ever, parents are looking for imaginative ways to blend traditional and personal values into their child‘s Bar/Bat mitzvah. Noshville is very experienced in catering these events, whether it is traditional or customized, we can be very creative. 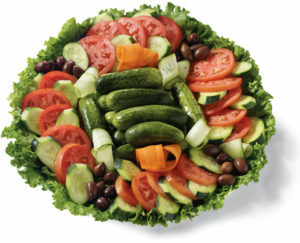 For your convenience Noshville offers a wide selection of both hot and cold items; and if you don‘t see what you looking for on our catering menu, please ask, we can modify any menu item or setting that would meet your individual tastes. Noshville can also customize a youth friendly menu in addition to an adult menu. We are very eager for the upcoming Bar/Bat Mitzvah season and hope that we can assist with any wishes you may have. Remember, our goal for planning your event is simple: Prepare a meaningful, beautiful and fun celebration that reflects you and your child‘s tradition and personality. Tell us the occasion and leave the rest to us! We are very creative, in addition to our wonderful trays and platters, Noshville offers many options to accommodate any party needs. Please note that catering is for 10 or more people and requires 48 hours notice. We provide everything you need for a successful event including plates, condiments, eating and serving utensils (specialty items may require an additional charge) . Here at Noshville we are devoted to making any occasion a memorable one! Delivery available for a small fee. Your choice of 3 of our finest deli meats. Accompanied by potato salad, creamy coleslaw, relish/pickle tray, fresh baked assorted breads. Your choice of 3 of our homemade deli salads…Tuna, chicken, spicy chicken, egg salad or chopped liver. Accompanied by potato salad, creamy coleslaw, relish/pickle tray, fresh baked assorted breads. 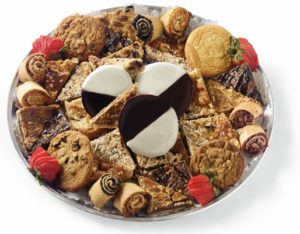 Perfect for corporate/office gatherings. Your choice of one of our 5 oz sandwiches served with coleslaw, potato chips, pickle, condiments and a homemade cookie.